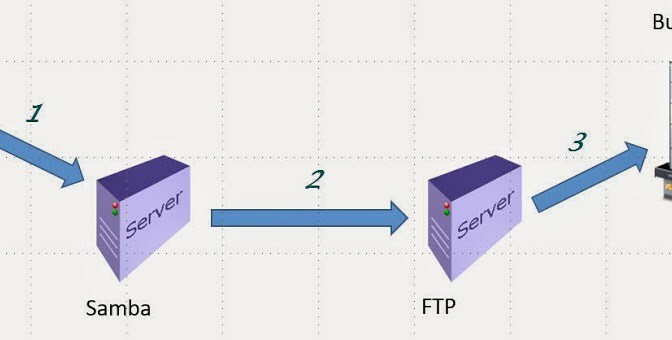 Using Windows Scheduler, launch a C# program that will move the file from the SAMBA server to an FTP site where the business partner can “pick up” the file. Once I have my scripts written and tested, I need to put them in the $XBOL_TOP/bin directory. While only the one file you are going to execute as part of the request set needs to be in this directory, it just makes it easier. 1. You will need to change the file extension of the script you are registering to .prog. 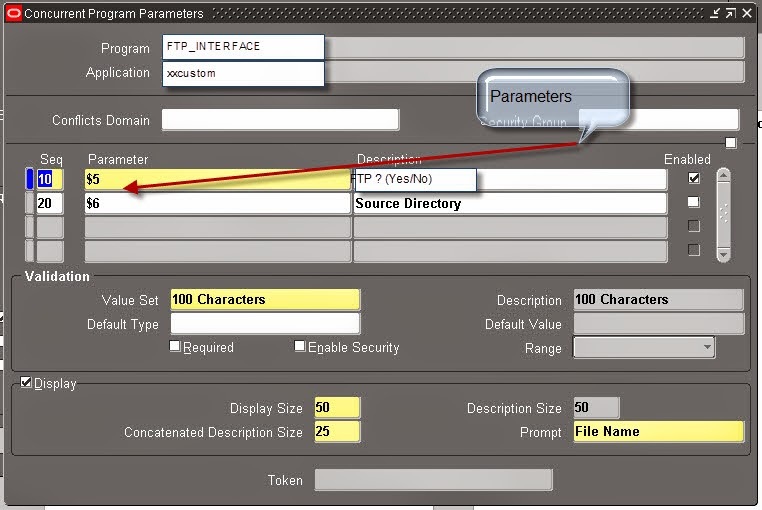 In this case FILE #2: ftp_interface.sh will be ftp_interface.prog. 2. Next, change the permissions on the file to 755. 3. Create a symbolic link to the script. 4. You can now register your program as am executable in EBS with HOST as the Execution Method. You can now register this as a Concurrent Program and/or include it in a Request Set. There are plenty of blog post and documentation for that, so have at it. Something to note: If you decide to pass a parameter to you shell script, you will need to start with $5. The first four are reserved for the USERID, REQUEST,_ID, RESP_ID, RESP_APPL_ID.